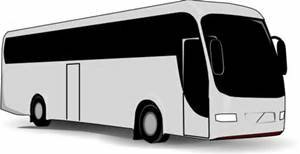 Meet at the HOME DEPOT, 260 East Highway 290, Dripping Springs at 6:45am on Thursday, November 8th so that we can load the bus and drive out at 7AM. We will have water on the bus. You may bring food in a small cooler that will fit in the overhead. Coolers will not be allowed in the exhibit/vendor hall. There are food vendors in the convention center and a meal will cost about $10-15. Meet back on the 2nd floor by the Starbucks at 5:45pm. The bus will depart at 6:00pm and should arrive back in Dripping Springs around 9:30pm. $70 for the bus fare and a ticket to Festival. This is a non-refundable purchase. If we have a waiting list and can fill your spot, you will receive a gift certificate to the shop. If we cannot find a replacement rider you will lose your money. PLEASE CHOOSE "PICK UP IN STORE OPTION" WHEN CHECKING OUT, NO SHIPPING REQUIRED. Must be punctual and excited to go! Please no perfumes! You do not need a PayPal account to order from our website. Our store front is now closed. The building has been sold by the owner. We are an online store for the time being.